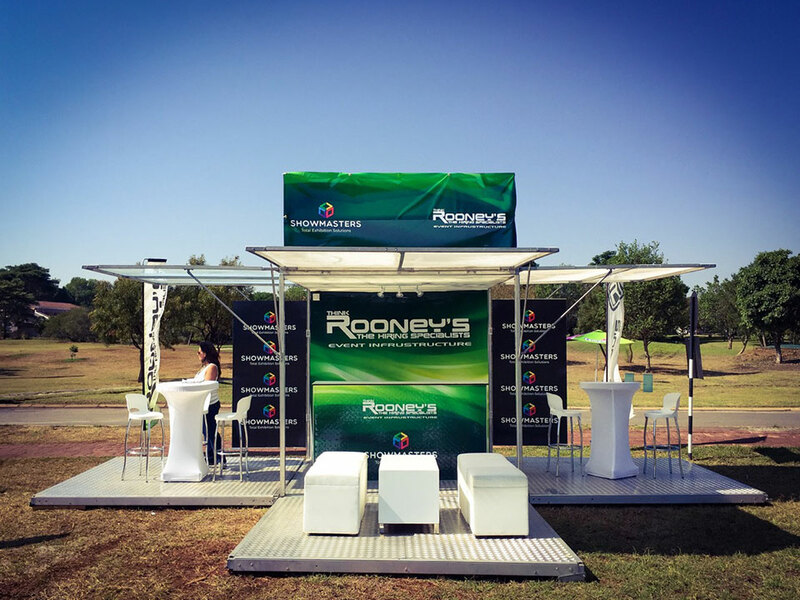 Rooney's is able to create the ultimate space at your event site, be it private offices, control rooms, registration areas we can provide the solution. 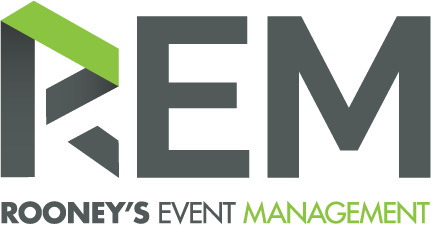 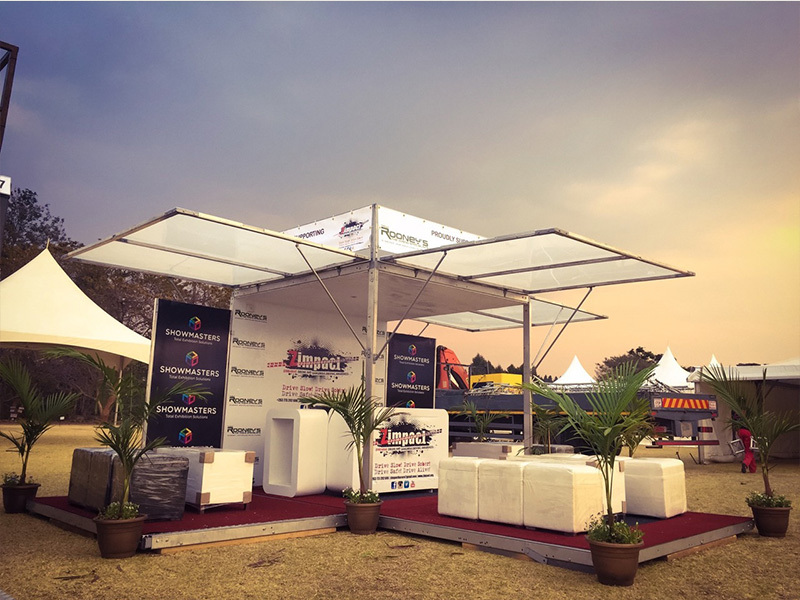 We are also able to provide the necessary furniture to fill these spaces - couches, desks, office chairs etc - we are able to provide your event space solution! 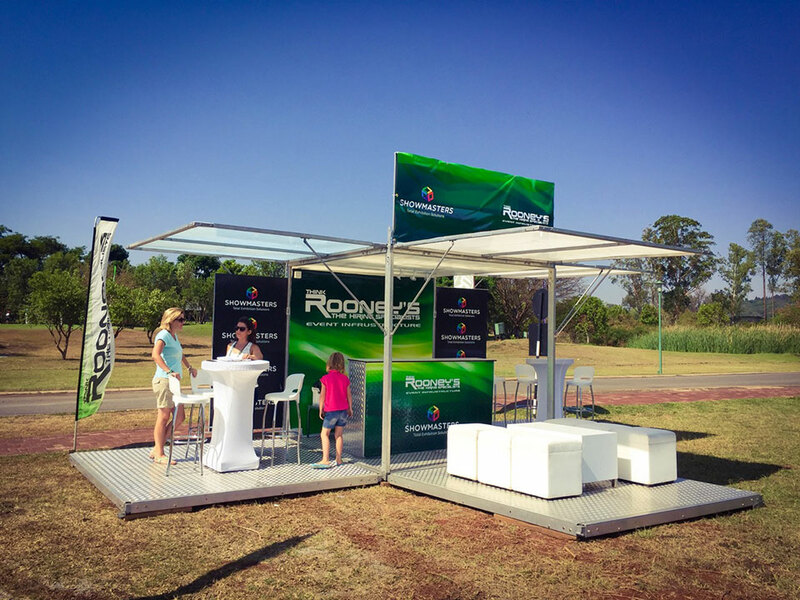 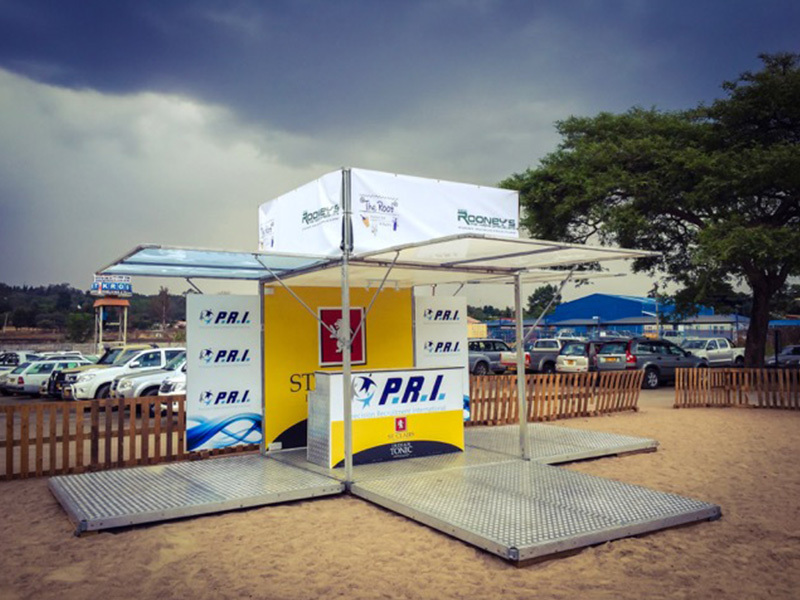 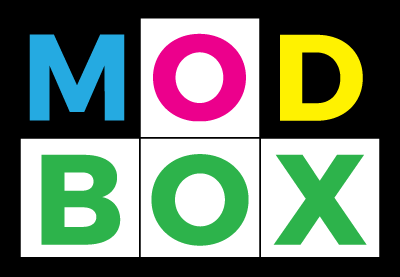 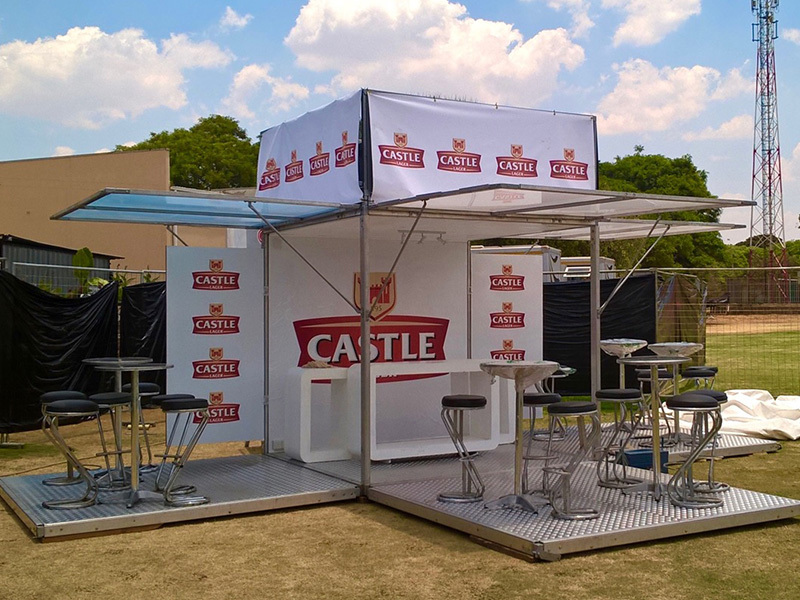 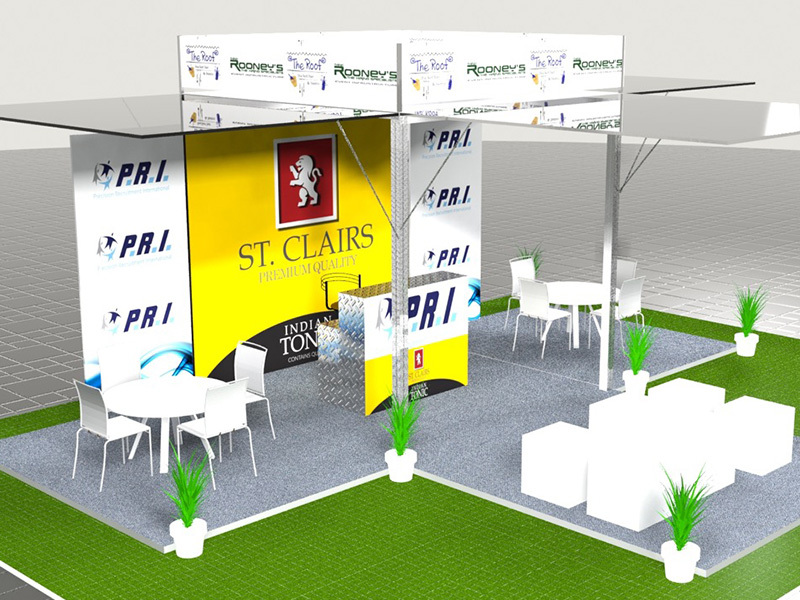 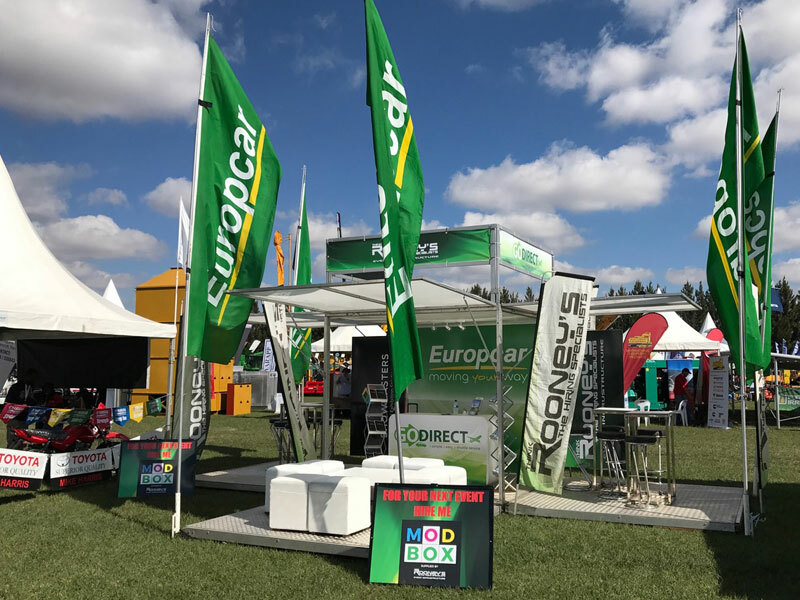 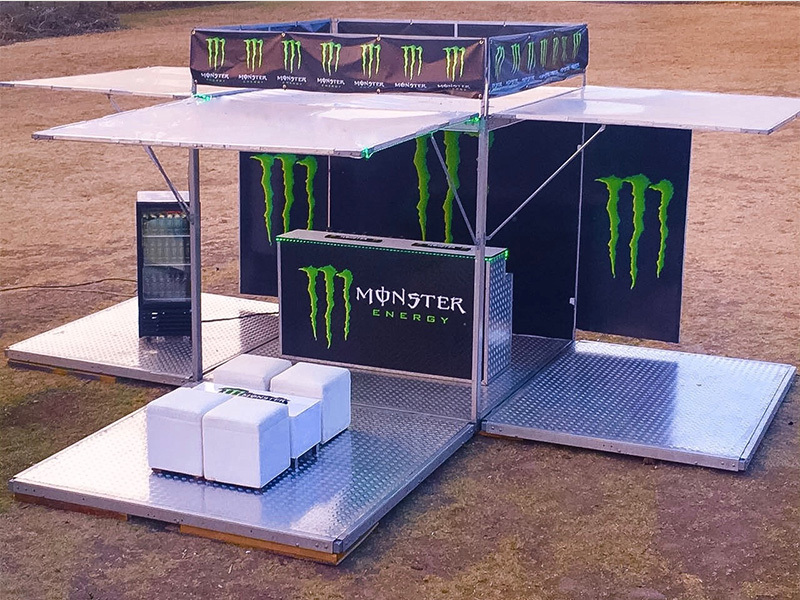 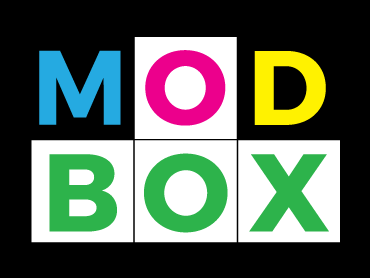 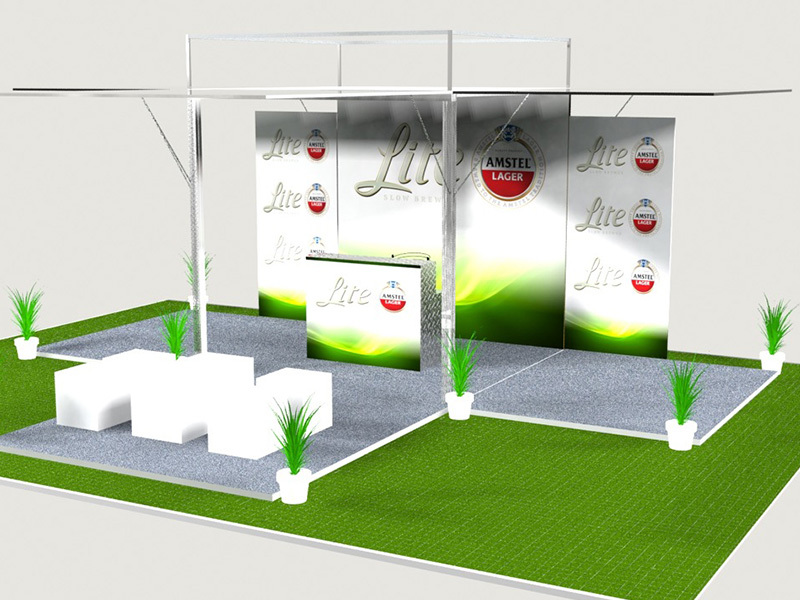 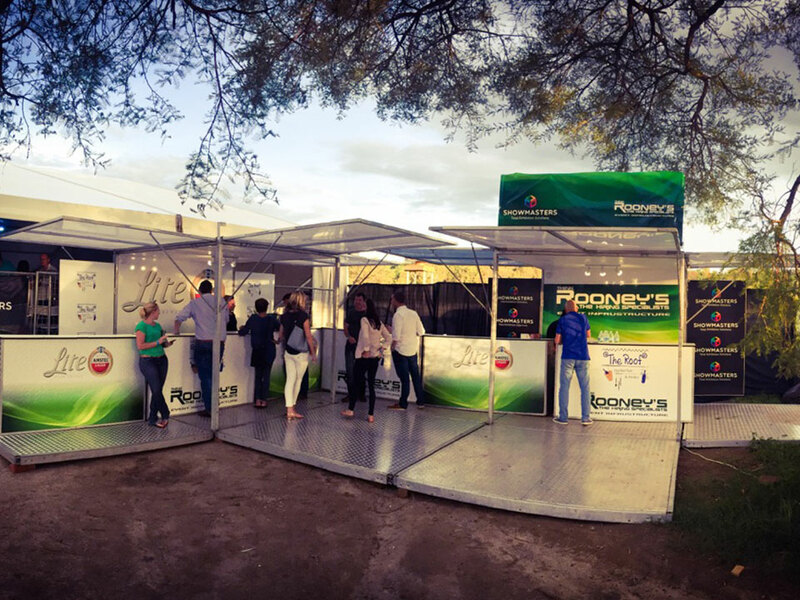 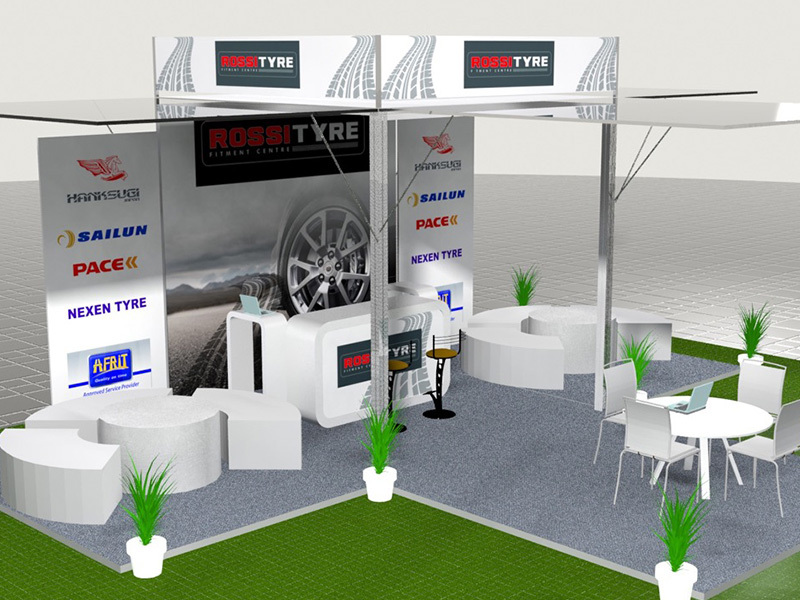 Rooney's is able to offer our clients customised Modular Boxes, which are ideal for brand activation, exhibitions, golf days, shopping centre promotions, mobile bars etc. 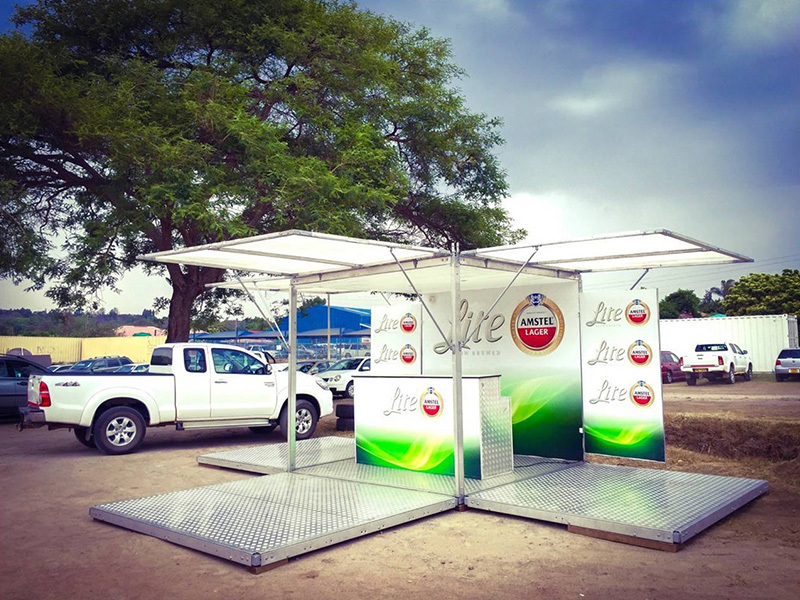 The units are branded to your specifications and delivered to site and installed in 45 minutes. 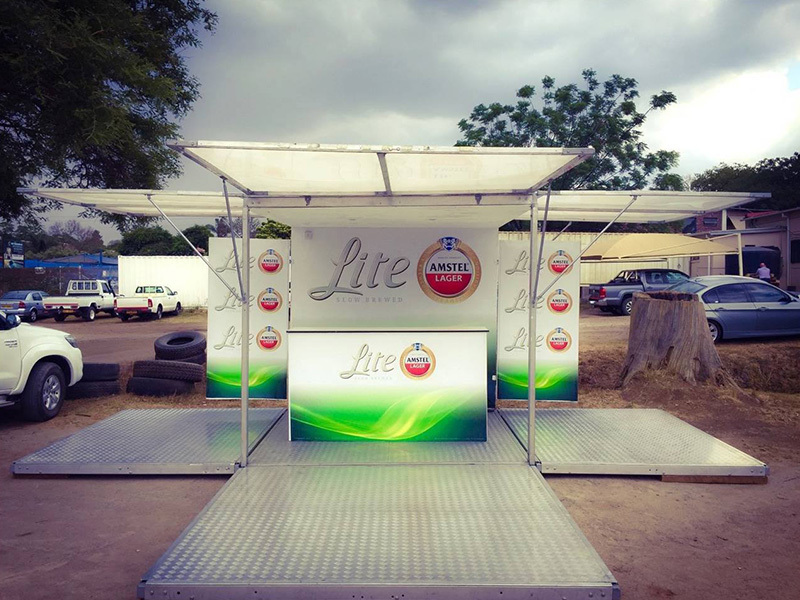 We do offer double decker units too which allows for commentators / DJ's etc to be above the main unit.